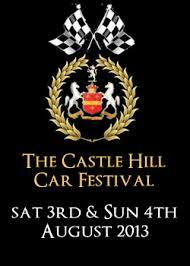 Castle Hill Car Festival will have a display of up to 1,000 classic and historic vehicles from clubs and private owners from throughout the UK. Our showcase exhibition will be a special display of over 30 historic Aston Martins to help celebrate the centenary year and there will be the Track Sprint Challenge for those with a need for speed. In addition to the Trade area there will be a range of arena events throughout the festival weekend including vehicle parades to allow owners to showcase their vehicles, and of course, to try and catch the judges eye in order to secure the coveted ‘Best in Show’ trophy. The arena will also host a number of action packed events as well as family entertainments to keep all ages happy.